In this second edition of World Wednesday, we travel up north to Canada and learn all aboot the foods from Vancouver to Prince Edward Island. Enjoy, and may you stand on guard for thee! 2. This insignia is found in the logo of what Belgian-owned Canadian brewing company, founded in 1847 in Ontario? My research indicates that this company has a slightly newer logo which features a red leaf, but this logo is still around in some capacity. 3. Consisting of a crumby wafer, vanilla custard, and melted chocolate, name these Canadian desserts named after a coastal city in British Columbia. 4. Pictured below is what Québécois meat pie, which is filled with pork, veal, beef, or fish. The dish is also traditionally eaten on New Year’s Eve in Quebec. 5. The sandwich seen here displays smoked meat which is typical of the style of which Canadian city? 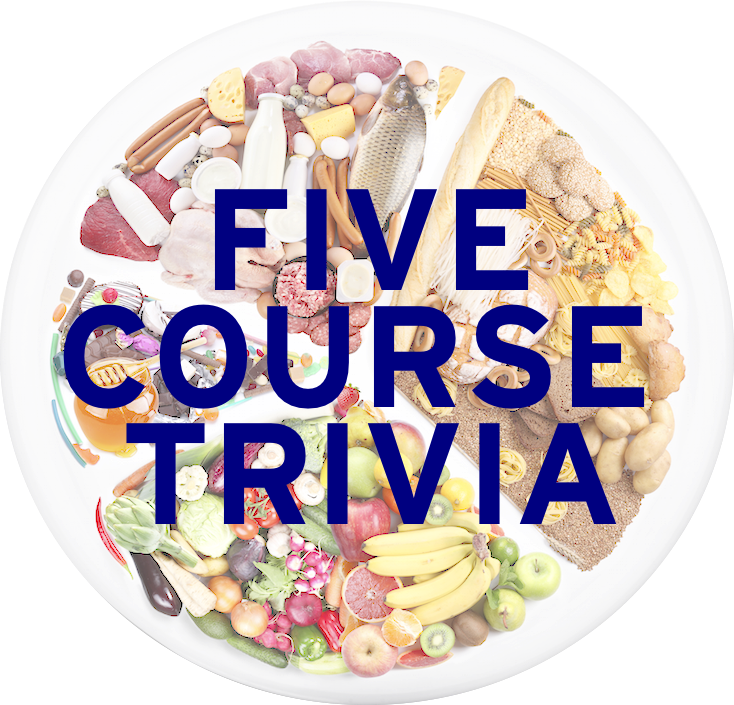 Learned League precedent (LL64, MD16) – The Québécois dish frite sauce, with the addition of fromage en grains, becomes a dish best known as what? Tomorrow: Is C for “cookie”, and is cookie for you? Answers to both: yes! Thanks for the daily questions, Chris! I’ve been playing everyday. Being Canadian definitely helped me do a little better today than I have been on 5CT so far. However, I have never heard of peameal bacon in my life. We (in Saskatchewan, at least) call it “back bacon.” A bit of cursory googling seems to suggest that peameal bacon is a southern Ontario term. They’re weird over there. Thanks so much man! I can only hope that I’ll be able to have natives from all the World Wednesday regions to correct me in future installments!